Every photographer has been there. You arrive ready to make amazing images of a family and the kids want nothing to do with you. Or, maybe they have trained by their parents to throw on a fake smile and say cheese whenever they see a camera making it nearly impossible to get a natural expression. In order for a photoshoot with children to be a success, it is necessary to get them engaged from the beginning and keep them engaged throughout. Some photographers try to take the easy way out and offer bribes. This approach usually backfires quickly as children will refuse to take a photo without the promise of additional treats and will result in lots of strange faces during the photoshoot. So, what’s a photographer to do? 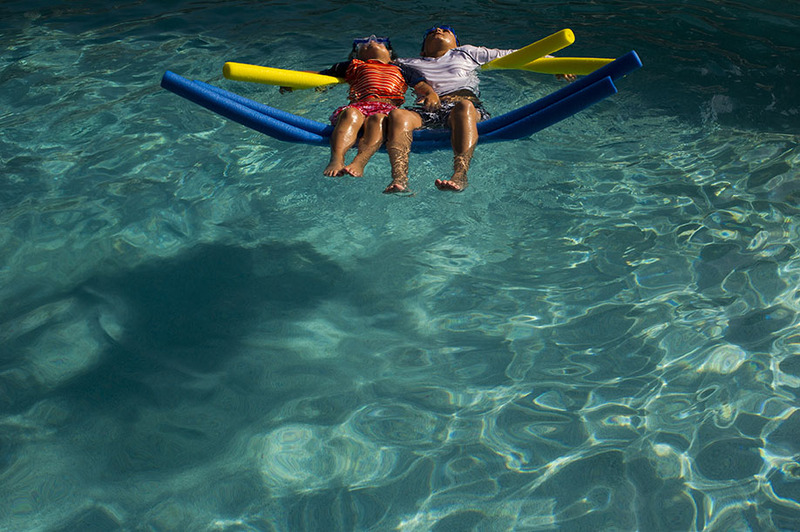 Some top family photographers from around the world offer their advice. Make Them Your Friend Right Away: When Elena Blair (http://www.elenasblairphotography.com/ ) arrives at a photoshoot she immediately gets down on her knees to greet the children she will be shooting and earn their trust. She shows them her camera and even lets them touch it. If you need to walk to a location before you begin shooting, spend this time talking to the children and getting to know them. If you engage the children before you begin shooting, you will be able to more easily keep them engaged throughout the photoshoot. Elena discusses more of her techniques in her class, The Art of Family Lifestyle Photography and her e-Book, Best of Both Worlds: Family Portraiture That Satisfies Them Without Losing You. Let Them be Naughty: Even a child who is resistant to engaging with you at will light up if he gets to do something unexpected or that is usually forbidden. Tamara Lackey recommends allowing children to be a little naughty, with the parents’ permission of course. The kids will be thrilled to do something they don’t normally get to do, such as jumping on the sofa or bed, throwing leaves, or even just making “impolite” noises. Tamara shares more of her tricks to engaging children in her Creative Live classes on children’s portrait photography and in her book The Posing Playbook…for Kids Who Don’t Do Posing. 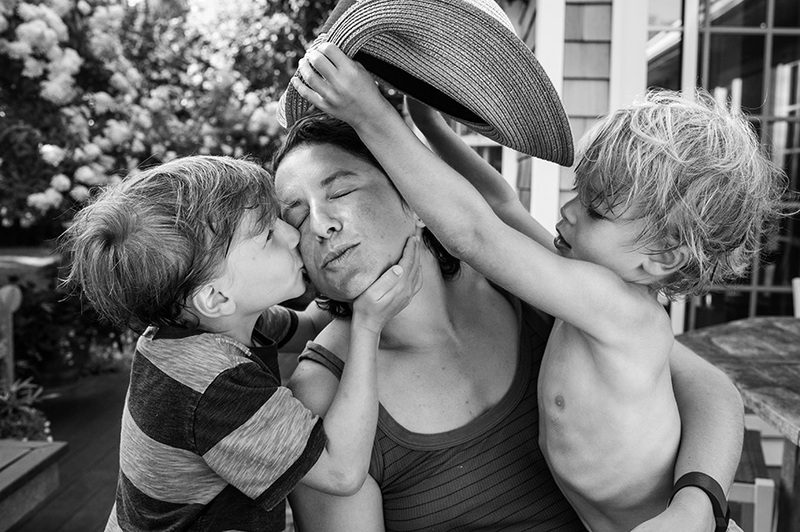 Let Them Play: As a family photojournalist, Kirsten Lewis takes a documentary approach to photographing her families. For her one-hour documentary sessions, she asks her families to bring two activities that they enjoy. This keeps kids engaged with their families throughout the photoshoot, keeps their minds off the camera, and provides plenty of opportunities to make images that capture genuine moments and real family life. For her full Day In the Life Sessions, Kirsten tries to integrate herself into the family as much as possible, even sitting down to eat with them. Even with shorter sessions, if you find that you are loosing children a good way to re-engage them is to take a few moments to simply play with them. Kirsten shares more of her tips in her Documentary Family Photography Handbook and and in her CreativeLive classes. Photograph Them at Home: Kids will be engaged when they feel comfortable. Where do kids feel most comfortable? At home. Photographer Danielle Hatcher specializes in indoor lifestyle photography and knows not just that children will act more naturally when they are in familiar surroundings, but that the resulting images will also be more meaningful to the family because they will be in the place where they spend the most time. When photographing children at home, all you need to do is ask them to show you their favorite toy or stuffed animal to get them engaged. They are also more likely to stay engaged if you ask them to stay still for a few portraits if they are in their own surroundings. To learn more about Danielle’s approach check out her workshop, Life Inside: In-Home Lifestyle Photography or her e-book Life + Style: A Guide to Beautifully Honest Family Photography. Invite them to Have Fun: Moment Design, created by photographer Jesh DeRox, uses Expression Invites, or questions and games, to get children involved and evoke natural emotions. The Moment Design technique seeks to engage children and families on three different levels to throughout a photoshoot by starting with getting them to laugh with you, then moving to showing warm-and-fuzzy feelings, and finally progressing to more deep and meaningful engagement. Learn more about using Moment Design with children through Jesh’s e-book, A Simple Guide to Bringing Out Beautiful Expressions, an in-depth training, or Expression Invites: Family. Create Joy: Children love to play and the easiest way to engage even shy children during a photoshoot is to get them moving. Photographer Lisa Tichane recommends movement as a great way to get kids’ minds off of the camera and create joyful expressions. Nearly every child from new walkers through pre-teens loves to be in motion so keeping them moving is a great way to keep them engaged, especially if you accompany your requests for motion with compliments like “Wow! You can jump so high” or “You are an amazing dancer/runner/jumper/singer!” Need a few frames with a child standing still? Simply ask them to do something active like run, jump, or dance then ask them to freeze and snap away. Lisa explores more of her techniques for keeping kids engaged in her class Capturing Joy and in her e-book focused on keeping the most challenging age group involved, Photographing Toddlers. Focus Completely on the Child: There are some children who just won’t engage with a person behind a camera. While not feasible for all situations, one way to engage a child is to put your camera on a tripod like the versatile Manfrotto 190go! and talk to the child directly without hiding behind your shutter. This technique also works well for children with special needs. If you are concerned about losing control over the shot this way, try pairing your 190go! with a Pulse from Alpine Labs that allows you to check your image and control your settings from your phone. Be Ready to Move on Quickly: Children have a short attention span. You have children completely engaged with you one minute, and they are completely bored the next. 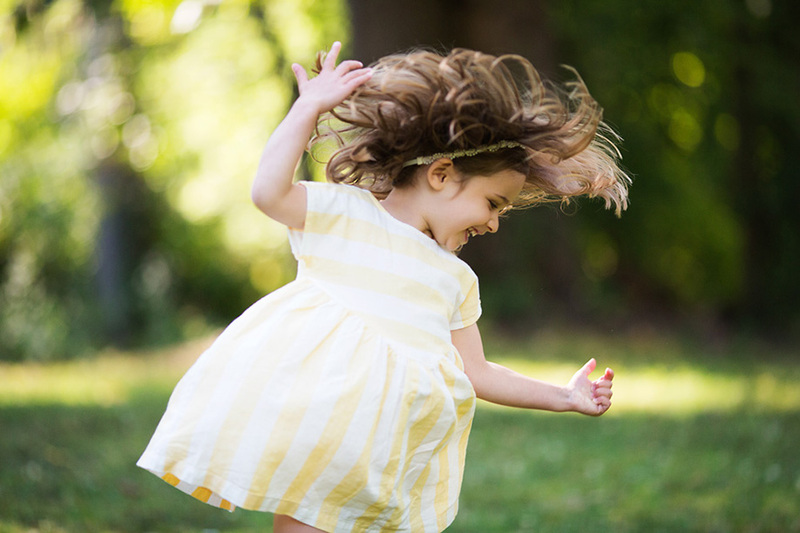 Emily Lucarz recommends moving on to a new pose or activity once you get the shot you need to keep kids engaged throughout the shoot and to ensure you get all of the shots you need. Having lots of ideas for activities prepared before a photoshoot, particularly ones you know the kids will enjoy, will not just keep kids engaged but also give you lots of variety to share with your clients. 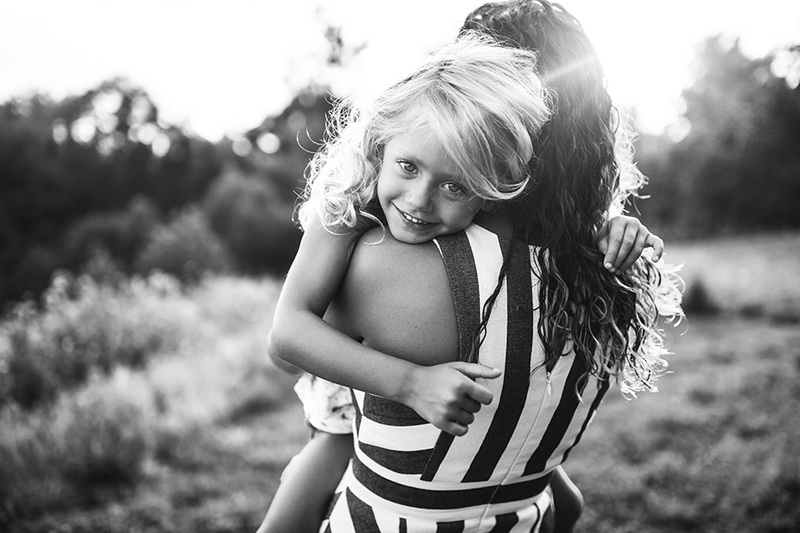 For more information on how Emily approaches her life-inspired sessions check out her class on Lifestyle Photography and her Family Prep Guide to help make sure she goes into sessions with a plan to keep the kids engaged and happy. With a little preparation, keeping kids engaged in your photoshoots can be a cinch.